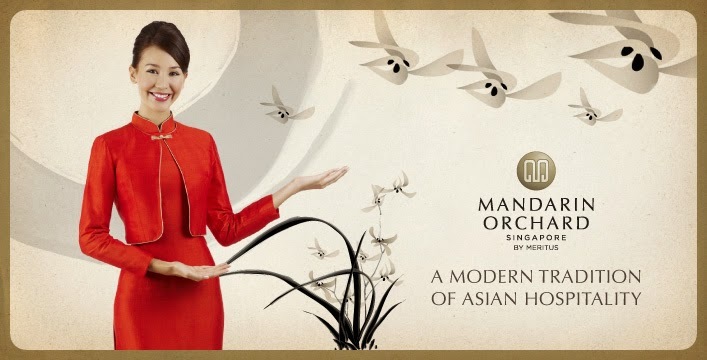 Mandarin Orchard Singapore by Meritus is the flagship five star hotel managed by Meritus Hotel and Resorts, owned by Overseas Union Enterprise (Lippo Group). Located in the middle of Shopping Paradise Orchard Road, this hotel has easy access to other facilities such as Hospital, Medical Facilities, Culinaries Escapade and Entertainment. We were tempted by 12 days Pre-Christmas Promotion, where the rooms are going at $199 per night without breakfast. So we decided on a quick break and booked a room. For breakfast, you can add S$23.54++ per person, which we did. Three days before our check in, we received a reminder email with our booking details and welcoming us and promise to serve us with their Signature Hospitality of Asian Grace, Warmth and Care. On the day, we checked in about 3.30 pm and thus it was a breeze. We were indeed welcome with Hospitality of Asian Grace, Warmth and Care. As it was during the Christmas period, there was a huge Christmas tree near the reception, with lots of presents surrounding it. Apparently, OUE group are doing their 'Star of Christmas' community program, inviting guests to donate Christmas presents to be distributed to the under privileges children in various homes and hospitals. We got room 2211, which have the view of Orchard Road. We also have a good view of Park Hotel in Orchard Road, the new Holiday Inn Express and The Heeren. The room looks clean, bright, comfortable with a huge King Size bed, with a Lounge Chair and Ottoman to help you relax. We noticed the TV was on and there is a welcome message with Little Devil's Surname on it. The rest of the furniture is a combination of modern with oriental flair. The colour combination of black and red in the wardrobe is one of the example of the oriental touch. For deluxe room, I was quite impressed with the availability of the bathtub in the confined space. Although it is small in size, it was much appreciated and fully utilised by us. The shower definitely get our seal of approval. Confirmed that Koala's back will get the proper clean up this time around. Coffee, tea and 2 bottles of water are FOC. 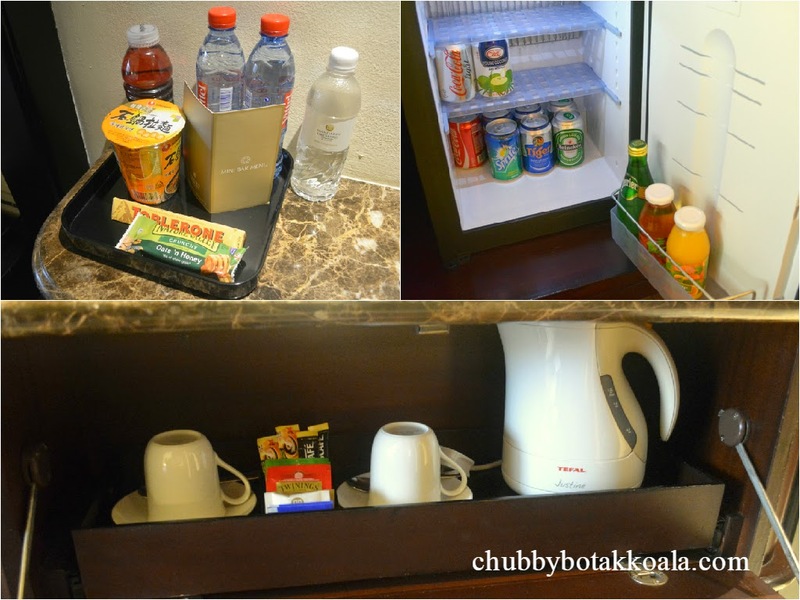 The mini bar are well stocked with different options of beverages of your choice, along with cup noodles and museli bar. For those internet addict, guest of the hotel will get connectivity all around the hotel. As it is a Five Star Hotel, the is a outdoor swimming pool, fitness centre and outdoor tennis court for you to get your adrenalin pumping. For in hotel dining, you can always go for Chatterbox, one of the most renowned and exquisite Chicken Rice in Singapore; or try Shinsen Hanten helmed by the son of Iron Chef Chen Kenichi (from the original Iron Chef Japan). We did not have a chance to try out these two places as the shopping and dining around Orchard Road was just to enticing. We end up at Bedrock Bar & Grill for dinner (check out the review here). Anyway, the most important part for the hotel are the bed and pillows. The king size bed is just comfortable and the right firmness to it. If you ask me to rate, the firmness level is about 7.5 out of 10. There are two type of pillow you can choose from, with different firmness and size in both. Good option, although we both prefer ours to be extra firm, but we managed to get a good night sleep in these pillows and almost wanted to skip breakfast. 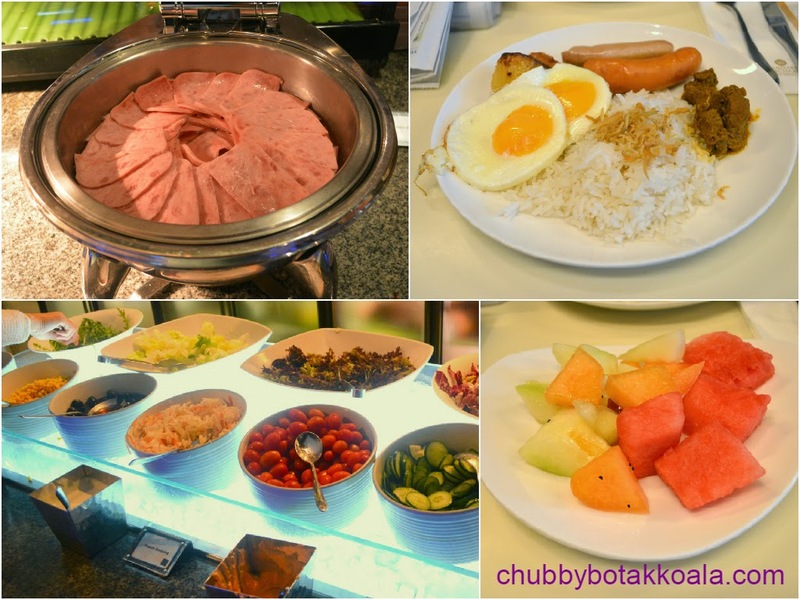 For buffet breakfast, you can actually have your pick either to have it at Triple Three or at Chatterbox. Both location will be serving the same food for breakfast. The selections are quite limited and the quality of the food is just disappointing. They even run out of fishball on the noodle section. I guess it is a lesson for me, next time, I should just go down to Mandarin Gallery or other location for my breakie. Never knew the rooms here carried an oriental touch. Very nice! Do you stay in superior deluxe or deluxe room ? Hi Gabriel Audrey, I think we stayed at the deluxe room.